What makes dandelion removal from lawns so difficult? Well, dandelions enjoy the best of both worlds. Above-ground, their seeds ride the wind currents, poised to drop into the slightest opening in your lawn to propagate the species. Meanwhile, below-ground, they strike down a taproot up to 10 inches long. Pulling the taproot as a means of removal is problematic. Thick but brittle, the taproot easily fractures and any fraction of the taproot that remains in the ground will regenerate. Make an incision into the soil, down along the side of the taproot, using a garden spade or similar tool. If you're serious, you can even buy a tool designed specifically for dandelion removal. Using the ground as a fulcrum, try to pry up the weed. Get a good grip on the leaves (as many of them as you can close your hand over) and use them as your "handle" on which to tug. If the taproot is yielding, remove the dandelion weed from the soil. Otherwise, make further incisions around the taproot and continue to tug gently at the leaves. I'm not a proponent of using herbicides when an alternative exists that works just as well. But killing dandelions is a case where one might consider breaking out the big guns. As mentioned earlier, all it takes is leaving a fraction of the root behind, and your efforts at pulling dandelions will be for nothing. Furthermore, there are some herbicide options which are less toxic. It's the acetic acid in vinegar that gives it herbicidal potential. The higher the percentage of acetic acid in the vinegar, the better. Vinegar used for culinary purposes is relatively low (5 percent) in acetic acid, but you can boil it down to increase its strength before the application. If you use either vinegar or Roundup, apply the herbicide directly onto the leaves of the weeds since these herbicides are non-selective and would harm your grass. 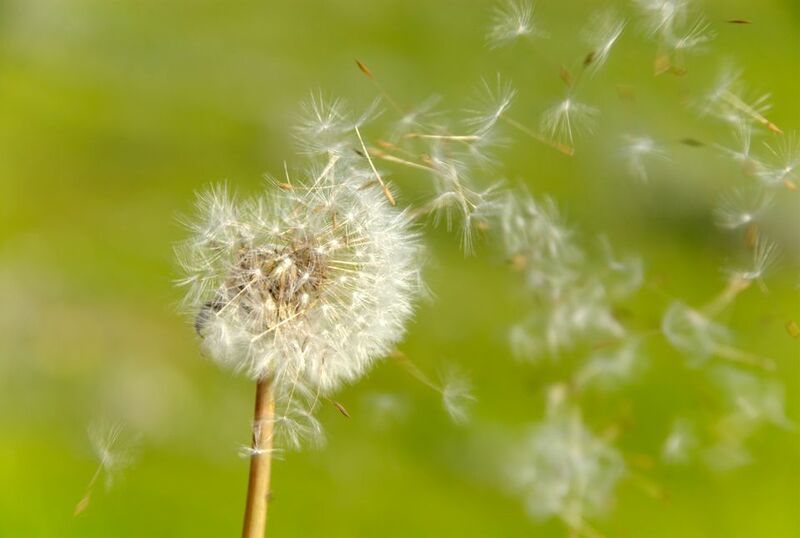 By contrast, Weed-B-Gon is selective (it targets ​broadleaf weeds) and won't harm grass, making it a popular choice for killing dandelions in the lawn. Mow "high," leaving the lawn grass at the height of 2 to 3 inches. This will allow the lawn grass to "protect its own turf" better, depriving weeds of the light they need. Don't let bare spots remain uncovered for long, or you're just inviting the invasion of opportunistic weeds. In the fall, fill in those bare spots by overseeding. All of the preceding remarks assume that your approach to dandelions will be hostile. But that needn't be the case. They're high in vitamins A and C, and iron. Just avoid harvesting near roads, since road salt or other toxins may be present. Likewise, you obviously shouldn't harvest from a lawn where herbicides have been used. But what about the taste, you ask? Dandelion greens taste like other salad greens like chicory and escarole.